Sometimes it’s so hard to decide what to get that special someone. Giving the gift of a Just In Time Gourmet gift voucher will impress even the most discerning foodie in your life. From indulging in an extravagant range of Australian-made gourmet products to creating their very own hamper full of goodies, the lucky recipient will be absolutely spoilt for choice. 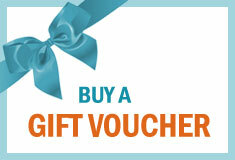 Our gift vouchers have no expiry date, so there is no pressure to spend it right away. The receiver can simply jump online at his/her leisure and indulge in a bit of shopping in our online store whenever and wherever they are in Australia. Simply fill in the details below, pop through the check-out and we’ll send the PDF online gift voucher directly to the recipient.